Conscious Box is a monthly subscription service that focuses on natural, sustainable, green products. 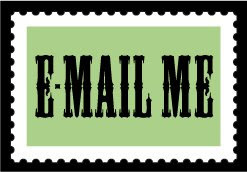 Unlike most others, Conscious Box is truly a variety box - in any given month, you might receive food/snacks, supplements, beauty products, cleaning products...it is $19.95 a month, and that includes priority shipping. They sent me a free box to review this month, and I was really excited to receive it! As usual with Conscious Box, this month's box is full of a ton of little things, so I hope I don't miss anything! 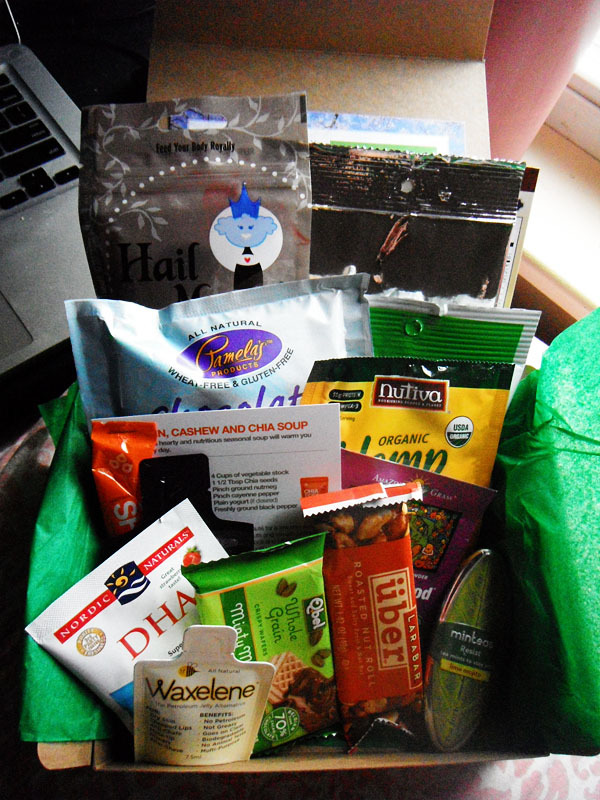 January's box was very fitting for the new year, as this box was focused around food and edibles. The box itself is cute and a great size for reusing. Here's what I got! Hail Merry Macaroons. These are raw, gluten free, and vegan with no refined sugar. They're dehydrated at a low temperature to preserve the organic oils!They are chocolate coconut bites, and they are surprisingly tasty. They are literally made with 6 ingredients, all organic, and they're sweetened with maple syrup. Mmm! Pamela's Products Chocolate Brownie Mix - This is a wheat free, gluten free, dairy free mix that you prepare in the microwave in under a minute. Cool! Excited to try these. TeeChia Super Seeds Cereal - This is a mix of chia, flax, quinoa, amaranth, ramon, and pumpkin seeds with currants, dates, and blueberries. It's to be prepared as a hot cereal. Sounds awesome! Nutiva Organic Hemp Seeds - These are shelled hemp seeds. I'm going to add them to a salad! The Chia Co - Chia Shots - a little packet of chia seeds. These come with a soup recipe attached and I'm very interested in trying them that way! Larabar Uber in Roasted Nut Roll - I generally dislike Larabars, but the Uber bars are actually very good! This is full of nuts and honey and has that salty sweet thing going. I like it! Whole Grain Indulgence Minty wafer cookies - These are awesome. MInt wafer cookies covered in dark chocolate, plus they're whole grain. Yum! Amazing Grass kidz superfood drink mix - this is a blend of a huge number of fruits and veggies to be mixed into water or juice. A really cool way to get then into your system! Nordic Naturals DHA fish oil tablets - These are fish oil tablets, but with a strawberry flavor and scent. Waxelene petroleum jelly alternative. I'm excited to try this on my dry heels, as I try to avoid petroleum products! Minteas Lime Mojito tea mints - These are tea mints with a lime flavor. Love the cute little tin! Maakoa Koopuwa - This is a blend of cupuacu, acai, and other superfruits in a juice form. I love acai so I'm very interested in this! Lots of healthy goodies in this month's Conscious Box! 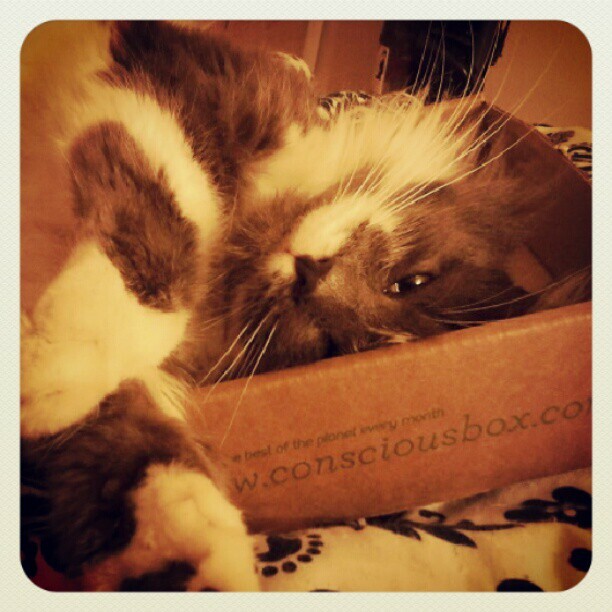 If you're looking to try the best pure, sustainable products, Conscious Box remains a great way to do so! *I received a box for free for review. I was not compensated, and all opinions are my own.